Are you wondering whether your child could have Sensory Processing Disorder — or wondering what it even is? 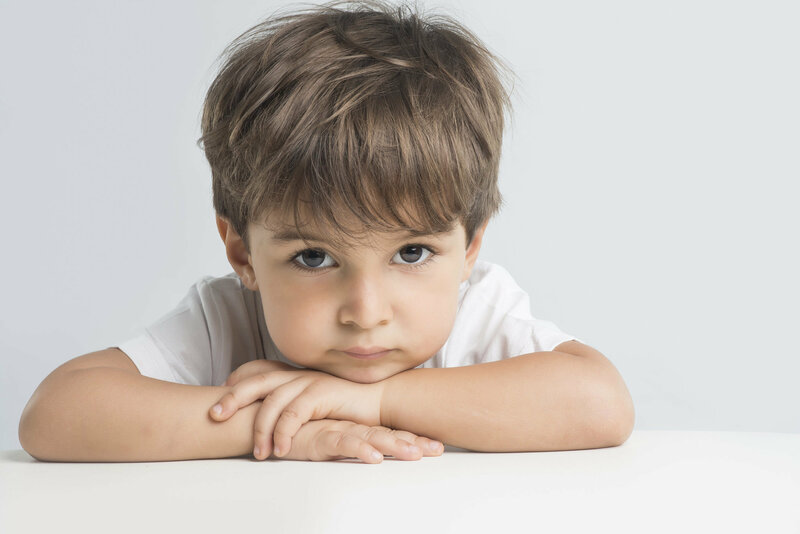 To help, we’ve rounded up some of the basics on the condition, as well as key signs of Sensory Processing Disorder in children of different ages. Different studies have suggested that anywhere from 1 in 20 to 1 in 6 children experience sensory symptoms that could affect their everyday lives. What is the treatment for Sensory Processing Disorder? Occupational therapy is the main form of treatment for children with Sensory Processing Disorder. Often, the disorder is not treated until a child has reached at least age 4 and a half (and some contend diagnosis and treatment should be held off until age 6 or 7). The signs of Sensory Processing Disorder vary widely between different children. Still, there are common red flags to look for. The Sensory Processing Disorder Foundation lists the following signs of SPD by age. Is overly sensitive to stimulation, overreacts to or does not like touch, noise, smells, etc. Is unaware of being touched/bumped unless done with extreme force/intensity. Has difficulty learning and/or avoids performing fine motor tasks such as using crayons and fasteners on clothing. Seems unsure how to move his/her body in space, is clumsy and awkward. Has difficulty learning new motor tasks. Gets in everyone else’s space and/or touches everything around him. Has difficulty making friends (overly aggressive or passive/withdrawn). Is intense, demanding, or hard to calm and has difficulty with transitions. Has sudden mood changes and temper tantrums that are unexpected. Seems weak, slumps when sitting/standing; prefers sedentary activities. It is hard to understand child’s speech. Does not seem to understand verbal instructions. Overly sensitive to stimulation, overreacts to or does not like touch, noise, smells, etc. Is easily distracted in the classroom, often out of his/her seat, fidgety. Is easily overwhelmed at the playground, during recess, and in class. Is slow to perform tasks. Has difficulty performing or avoids fine motor tasks such as handwriting. Appears clumsy and stumbles often, slouches in chair. Craves rough housing, tackling/wrestling games. Is slow to learn new activities. Has difficulty learning new motor tasks and prefers sedentary activities. “Gets stuck” on tasks and has difficulty changing to another task. Confuses similar sounding words, misinterprets questions or requests. Has difficulty reading, especially aloud. Stumbles over words; speech lacks fluency, and rhythm is hesitant. For more information, visit the Sensory Processing Disorder Foundation.